Rav Ulla expounded: What is the meaning of what is written: Don’t overdo wickedness… (Ecclesiastes 7:17). Only to an excess one should not be wicked?! To a small degree one should be wicked?! [Obviously not!] Rather, if one who has eaten a clove of garlic and his breath smells bad, should he go back and eat another clove of garlic so that his breath smells even worse? The past two editions of TMT (#63 and #64) have followed a discussion of the concept of reverence for God. (The term I have translated “reverence” is sometimes understood to connote “awe” and other times understood to connote “fear”). The discussion of reverence for God was a sidebar conversation to one that asked why Ecclesiastes is included in the Tana”kh (Hebrew Scriptures). The passage above, which follows immediately from the passage in TMT #65, can be understood to mark a return to the original topic of conversation on Kohelet (Ecclesiastes). Rav Ulla, explaining a verse from Kohelet, demonstrating consistency with rabbinic concepts and values. In addition, although it doesn’t mention reverence explicitly, it also serves as a capstone to the previous conversation about reverence for God. The author of Kohelet identifies himself as the “son of David, king in Jerusalem” and, on that basis, tradition ascribes the book to King Solomon, presumably written late in life. Scholars, however, on the basis of Persian loan-words and Aramaic, have determined that Kohelet was written long after Solomon lived. Kohelet is markedly different from most other books in the Tana”kh in its tone and content. Scholars disagree whether it dates to the Persian or Hellenistic period, whether it is optimistic or pessimistic in its attitude toward the meaning of life, and whether the author is the narrator or the book is a fictional autobiography. What all agree upon is that the book is a search for wisdom that dispenses advice for living life amidst reflections on philosophical conundrums of meaning and purpose. Kohelet expresses a deep degree of skepticism not found in Torah or the books of the Prophets, nor even in Job or Proverbs, which are also wisdom book. Rav Ulla explains a verse that seems especially bizarre: Don’t overdo wickedness and don’t be a fool or you may die before your time (Ecclesiastes 7:17). Rav Ulla quotes merely three words of Ecclesiastes 7:17 that move one to ask, “Who would say such a thing?” To advise people not to be excessively wicked suggests that some degree of evil behavior is acceptable; it is going to excess that is not wise. Rav Ulla says, as we might: Does this mean that the problem is only in the excess, but not in the evil itself? Of course not! Rejecting this way of reading the verse, he provides an analogy intended to explain its proper understanding: If I were to eat a clove of garlic and my breath became offensive to others, upon realizing that were the case, I should not go back for seconds. Don’t overdo wickedness, then, means not to continue down the path of wickedness: stop and change directions. We might respond to Ulla: But, knowing that I would be in close quarters with other people, I shouldn’t have eaten the garlic in the first place. We might also ask: Why does Rav Ulla use such a trivial example as garlic when discussing wickedness? Garlic-eating, whether intentional or not, might be deemed inconsiderate, but wicked? Rav Ulla uses the awkward and peculiar phrase, Don’t overdo wickedness, to make a point that seems obvious, yet is difficult to digest. Human beings are creatures of habit. We tend to spend time with the same people again and again. We tend to do again and again what we’ve done before. And we tend to justify what we do, even when we know it violates social strictures and ethical norms. Rav Ulla reminds us that we have the freedom to choose a new direction for our lives. Having chewed one clove of garlic, we can decide to not consume another—even when the good taste of garlic lingers in our mouth. Perhaps the metaphor of eating garlic is used because it creates a vivid picture in one’s mind and because it is delicious to the one who eats it, but pleasant to others nearby. Perhaps Rav Ulla has in mind that we do things that, at least initially, seem innocuous. With repetition, however, they grew increasingly bothersome and problematic. Yet once we have established a pattern of behavior, it becomes more and more difficult to change as time goes on. Rav Ulla’s analogy to eating garlic helps us focus on how our actions effect those around us. Sometimes “a little more” is not unnoticeable or innocuous. What has this to do with reverence for God? Ostensibly, the passage does not address the concept of yirat shamayim, but rather returns us to the earlier discussion of Kohelet. However, its placement—immediately following the conversation on yirat shamayim—suggests a connection. When we head down the wrong path in life, the ever-present possibility for course correction. Rav Ulla suggests that wherever we are, God is accessible and available to help and support our desire to change. It’s never too late and we’re never too far afield to experience yirat shamayim. Is there a difference between wickedness and excessive wickedness? If so, where is the boundary and what are the implications of making the distinction between them? Which is harder: Refraining from wickedness (or a bad habit) or ceasing wickedness (or a bad habit)? Why? Our previous passages (TMT #63 and #64) suggest that reverence for God is a religious, spiritual attitude: Rabbah bar Rav Huna says that reverence is essential for truly mastering Torah learning; without it, one’s learning is empty. Does Rav Ulla think of reverence in terms of attitude or deeds? R. Shimon and R. Elazar were sitting [together when] R. Yaakov walked by. One said to his colleague, “Let us rise before him because he is a person who fears sin.” The other said to him, “Let us rise before him because he is a Torah scholar.” [The first] said to him, “I said that [we should stand because] he is one who fears sin, and you say that [we should stand because] he is a Torah scholar?” It can be concluded that R. Elazar was the one who said that [R. Yaakov] was “one who fears sins,” for R. Yochanan said in the name of R. Elazar, “The Holy Blessed One has nothing in the world except reverence for heaven, as it is written, Now, O Israel, what does Adonai your God require of you? Only to revere Adonai your God… (Deuteronomy 10:12), and it is written, [God] said to humanity: Hein [behold], reverence for God is wisdom (Job 28:28). In Greek, the term “hein” means one.” It is concluded. What is the relationship between Torah learning and reverence for God? Does Torah learning teach or inspire reverence? Or does reverence facilitate meaningful and genuine Torah learning? What is the most important religious quality? It might seem silly to us to try to pin down the singular most important attribute to cultivate, but for the Rabbis, there are traits they deem crucial because they influence so much else about how we live our lives. In this discussion, the Rabbis have narrowed the conversation to Torah learning and revering God. In the case of the latter, the Rabbis express this attribute in several ways: (1) awe or fear of God; (2) awe or fear of heaven; (3) fear of sin. The conversation between Rabbah bar Rav Huna speaks of yirat shamayim (“awe/fear of heaven”) consistently, while the story about R. Shimon and R. Elazar’s evaluation of R. Yaakov concerns cheil chata’im (“fear of sin”). When the Gemara reflects on the story of their conversation, it employs “reverence for heaven,” not “fear of sin” as R. Shimon and R. Elazar did. It would appear that the anecdote about R. Shimon and R. Elazar was inserted here by the redactor because in this position, it is used to support the claim made by Rabbah bar Rav Huna that reverence for God is the singular most important attribute to possess. Gemara offers three ways to understand the relationship between Torah learning and reverence for God, each expressed through a metaphor in which the inner chamber (which connotes the Holy of Holies, the inner sanctum of the Temple where The Torah was kept) is genuine Torah learning, and the courtyard surrounding the inner chamber is reverence for God. Rabbah bar Rav Huna goes further. He tells us that the key to accessing the inner chamber is actually the key to the surrounding courtyard of yirat shamayim (reverence for God): to master genuine and meaningful Torah learning, one must first have reverence for God. R. Yannai expresses concern about one who does not have a courtyard (i.e., lacks reverence for God) but makes a key for it (i.e., pretends reverence). Rav Yehudah goes further still, suggesting that God’s ultimate goal is for people to be imbued with reverence for God. Torah learning (the inner chamber) serves that goal: God acted (i.e., gave the Torah) so that people would stand in awe of God. R. Shimon and R. Elazar concur that R. Yaakov is worthy of admiration and respect, but disagree concerning his finest trait. One claims it is the trait of fear of sin (taken here to be equivalent to reverence for God) and the other holds that it is R. Yaakov’s Torah learning that commands respect. While ostensibly it seems that Gemara’s concern is determining which sage holds which opinion, R. Yochanan’s teaching in R. Elazar’s name reveals the underlying goal: the teaching holds that God considers yirat Adonai the ultimate priority. We need the entire biblical passage to understand Gemara’s claim: Now, O Israel, what does Adonai your God require of you? Only this: to revere Adonai your God, to walk only in [God’s] paths, to love [God], and to serve Adonai your God with all your heart and soul, keeping Adonai’s commandments and laws, which I enjoin upon you today, for your good. (Dt. 10:12-13). Gemara is saying that reverence is listed first because it is most important and all the rest listed in the verse flow from it. Gemara further cites a verse from Job that mentions reverence for God and wisdom (i.e., Torah) together—in that order—following the word hein. Because hein sounds like the word for “one” in Greek, Gemara takes this as further evidence that reverence is more important even than Torah. How would you define “awe/fear of God?” In your opinion, are “awe/fear of God” and “fear of sin” equivalent? If not, how are they different from one another? How is your understanding of “awe/fear of God” connected with how you conceive of God? If one’s conception of God is abstract (e.g., the source of goodness, the unity of universe, the entirety of the universe, or existence itself), how might “reverence/awe of God” be understood? Can Torah learning connote objective knowledge divorced from religious and moral attitudes and values? If so, is there a danger in the separation? On daf 30b, the Sages consider the closing verse of Ecclesiastes (12:13), which counsels: The making of many books is without limit and much study is a wearying of the flesh. The sum of the matter, when all is said and done: Revere God and observe [God’s] commandments! Ecclesiastes seems to be saying that despite all the diligent study and deeds religion prescribes, in the last analysis what truly counts is yirat Adonai—reverence for God. In the passage above, Reish Lakish and Rava each explicate a recondite verse in Isaiah in the light of Ecclesiastes 12:13. My translation of Isaiah 33:6 is designed to help make sense of their explications. Here, underlined, are the six terms they interpret: Faithfulness to Your time and the strength of salvation is wisdom and knowledge; reverence for God is the storehouse. Reish Lakish identifies each of the six significant terms in Isaiah 33:6 with one of the orders (major divisions) of the Mishnah based on a variety of linguistic and conceptual connections.“Faith” and “Seeds” are connected both because humans need to rely on God for rain to grow produce, and because people need to rely on farmers to tithe their produce in order for them to be permitted to eat it. “Your time” alludes to “Festivals” which are celebrated at specific times. The term used for “strength” sounds much like a term for “inheritance” or “heirs,” which a man secures through his wife via marriage, the subject of “Women.” Rashi explains that by learning the laws in “Damages,” one can “save” oneself from either causing or incurring monetary damage. 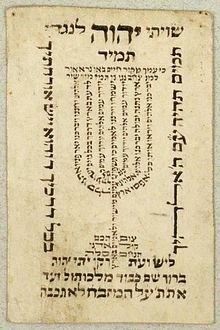 “Wisdom,” for Reish Lakish, connotes the laws of the Temple sacrifices discussed in “Holy Things,” and “Knowledge” alludes to deeper and more profound matters of ritual purity and impurity discussed in “Purities.” Together, the six orders of Mishnah signify all of Mishnah and hence Talmud—the Oral Torah. For Reish Lakish, Isaiah 33:6 teaches us that one should learn all of Oral Torah, but even having accomplished that, the trait of yirat Adonai (reverence for God; sometimes translated “fear of God”) is even more important; it is the vessel or storehouse that holds all that is ultimately important, meaningful, and valuable to God. Rava offers an alternative way to parse Isaiah 33:6. He asks us to picture ourselves, after we die, being escorted to God’s Throne in heaven to be judged. There we will be asked six questions, each of which is connected by a linguistic or conceptual thread, to the same six terms in Isaiah 33:6: Did you conduct your business “faithfully?” Did you set a fixed “time” for Torah study? Again, the term “strength” reminds one of a term for “heirs;” hence Rava says we will be asked whether we contributed to the continuation of humanity (many commentators hasten to explain that Rava is not saying that actual biological procreation is the point here, but rather whether we did something to aid in the larger communal effort to raise the next generation). “Salvation” signals that we will be asked whether we lived our lives with the expectation of messianic salvation; “Wisdom” is shorthand for delving into wisdom and “Knowledge” connotes the deeper learning in which one infers one thing from another. Yet, despite these questions, if we sincerely revered God, we will be judged favorably and if not, we will not be judged favorably. Rava further says that reverence for God is the vessel that holds, supports, nurtures everything good that we do: the “storehouse.” He provides an analogy to wheat stored without a preservative: it is worthless because it will spoil. What is done out of a reverence for God (rather than in expectation of a reward) is worthwhile and lasts. What is your understanding of yirat Adonai (reverence/fear of God) and how does it function in your life? How would you answer Rava’s six questions? Do you conduct your business faithfully/honestly? Do you engage in Jewish study regularly? How do to nurture the next generation? Do you help move the world closer to the messianic vision? Do you seek wisdom and engage in deep thinking and reasoning? Psalm 16:8 famously says, Shiviti Adonai l’negdi tamid/“I will place Adonai always before me.” How would living always with God in mind change your life? The Shiviti is a traditional Jewish art form that includes the name of God and a variety of symbols and verses to use for meditation and prayer. “Patience is bitter, but its fruit is sweet.” These words are often attributed (though possibly erroneously) to the 18th century philosopher Jean-Jacques Rousseau. Rousseau is most famous for The Social Contract (1762), in which he charges nation states with corruption, repression of citizens’ physical freedoms, and failure to further their civil freedom—the last being the reason d’être of civil society. Rousseau sounded a clarion call for a Social Contract that all citizens enter and to pledge to work for their mutual protection and preservation. Governmental legitimacy must rest on the consent of the governed. Rousseau’s treatise led to vast political reforms, and even social revolutions in Europe. He also authored a novel entitled Emile, or On Education, concerning the education of the individual to function in a corrupt society. Our Talmudic story, from tractate Eruvin, speaks to the fundamental necessities for delivering effective education: a caring and committed relationship between the teacher and the student and a patient teacher. Relationship and patience. Here we learn that patience is not bitter at all—it is as sweet as its fruit. Teaching bright, motivated, and engaged students is a joy. It can also be joyous, but more challenging, to teach students who find learning difficult, struggle with attention and focus, often feel insecure, and experience anxiety. R. Preida had just such a student. In R. Preida’s time, learning entailed, first and foremost, memorization. Texts were handwritten and consequently costly and rare. A student would repeat a teaching—for example, a mishnah (which comes from the root “repeat”)—in order to commit it to memory. R. Preida’s student is a severely challenged learner. Under the best of conditions, R. Preida must repeat material four hundred times before his student can recite it by himself. This speaks volumes about how patient and committed R. Preida is to his student. One day, when the usual four hundred run-throughs do not succeed, R. Preida does not berate the student for being distracted or for failing to try hard enough. He asks what interfered with his learning. In other words: “Tell me where the problem is so we can solve it together.” The student explains that from the moment someone came to tell R. Preida that he would be called away in the middle of the lesson to attend to a mitzvah matter, the student had been overcome with anxiety about the imminent interruption and had thereafter been unable to focus. R. Preida responds with compassion, understanding and reassurance: That’s okay; I’m going to teach you again. And R. Preida started from the beginning: No harm, no foul. So great is this act of compassionate patience and kindness in the advance of Torah learning that Heaven offers R. Preida a choice of rewards. From a rabbinic perspective, olam ha-ba (the world-to-come), is the highest reward one can attain, but if a person who knows he merits olam ha-ba (indeed that he has already earned it) he would likely choose an additional four centuries of life. After all, olam ha-ba is forever, but life is not. Yet it doesn’t surprise the reader that R. Preida, who is so generous to his student, choses the reward that includes everyone else, not just himself. Again, Heaven is so pleased with him that he is granted both rewards. Who was the most patient teacher you ever had? How did you benefit from this teacher’s patience? Rousseau’s philosophy of education focused on the connection between the education of individuals and the overall quality of society. In Emile, he asserts that the goal of education is to cultivate our natural human tendency to be good. Education, therefore, entails character development to nurture morality and a healthy sense of self-worth. Do you see these ideas reflected in the story of R. Preida and his student? Do you think Rousseau would approve of R. Preida’s teaching style? Why or why not? Impatience is far more noticeable than patience. Those who honk in traffic jams, complain loudly while waiting in a doctor’s office or on line at the supermarket, or yell at their children to hurry up are hard to miss. Think of an occasion when you were impatient with others. How did it effect them? How did it effect you? Patient people wait calmly and quietly, knowing that life is full of delays and inconveniences. Recall a time when you were patient. How did it effect you? Others?